Is There a Thief in Your Ductwork? There are more than a million miles of duct work in U.S. homes. And industry experts estimate that more than two-thirds of them are leaky enough to justify sealing or repair. Leaky ducts can significantly increase air conditioning and heating bills, dramatically reduce equipment capacity and performance, as well as result in potentially dangerous indoor air quality problems. 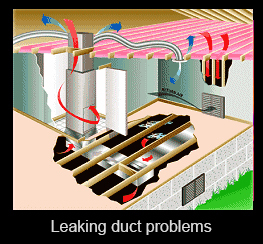 In fact, duct leakage is responsible for many of the comfort complaints experienced by homeowners today. 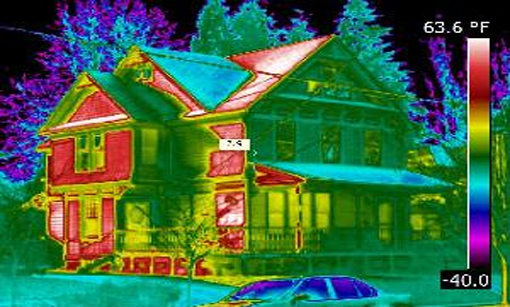 Leaks in forced air duct systems are now recognized as a major source of energy waste in both new and existing houses. 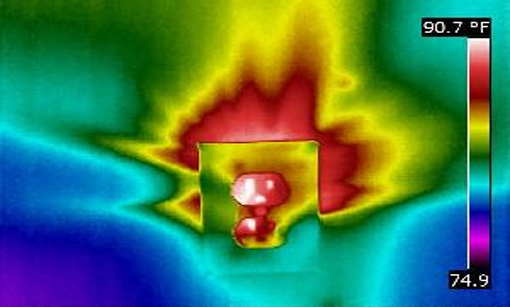 Studies indicate that duct leakage can account for as much as 25% of total house energy loss, and in many cases has a greater impact on energy use than air infiltration through the building shell. Just as important, duct leakage can prevent heating and cooling systems from doing their job properly, resulting in hot or cold rooms, and humidity problems. Worse yet, duct leaks can create air quality problems by pulling pollutants and irritants directly into the house. Leaks in the supply ductwork cause expensive conditioned air to be dumped into the attic, crawlspace or garage instead of into the house. Return leaks pull outside air (hot in summer, cold in winter) into the duct system reducing both efficiency and capacity. In humid climates, moist air being drawn into return leaks can overwhelm the dehumidification capacity of air conditioning systems causing homes to feel clammy even when the air conditioner is running. Heat pumps are particularly susceptible to comfort complaints from duct leakage, especially during the heating season. Duct leaks can cause the air coming from heat pumps to feel luke-warm or even cold during the winter. In addition, leaky ductwork has been found to greatly increase the use of electric strip heaters in heat pumps during the heating season. Leaks in return ductwork draw air into the house from crawlspaces, garages and attics bringing with it dust, mold spores, insulation fibers and other contaminants. Household depressurization from duct leaks and imbalanced duct systems can cause spillage of combustion products (from furnaces, water heaters and fireplaces) into the house. Duct blower system test and analysis $150 With energyscan, $250 as a stand alone service.